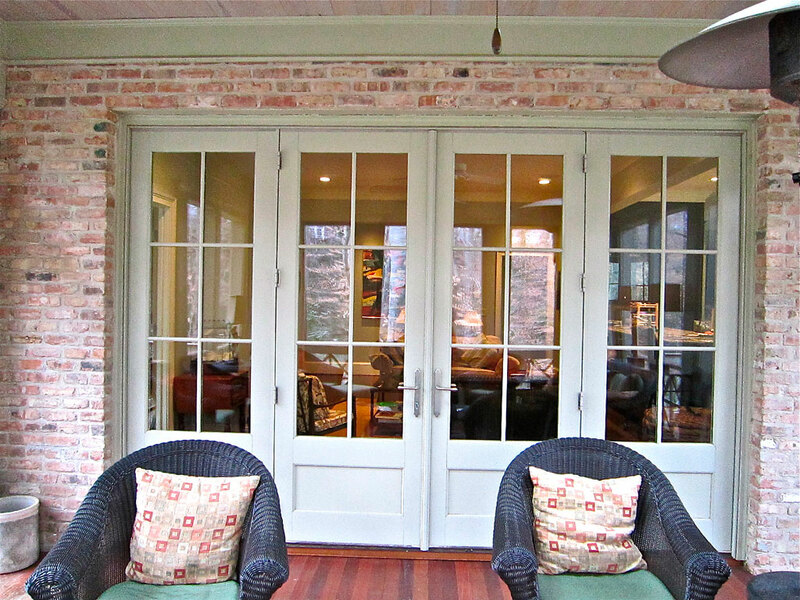 erfect porches are hard to find, but this one hits the mark. 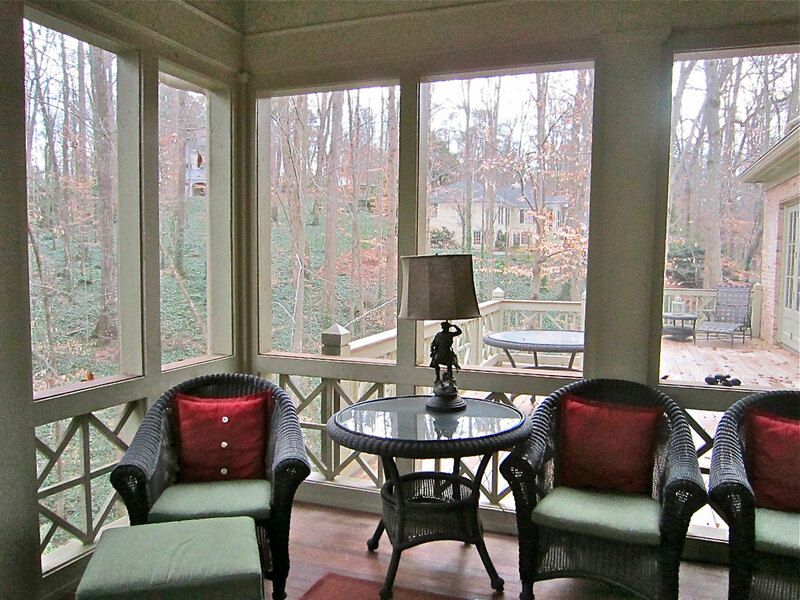 Wouldn’t you just love to relax with a refreshing cocktail on this lovely porch overlooking a small woodland stream. 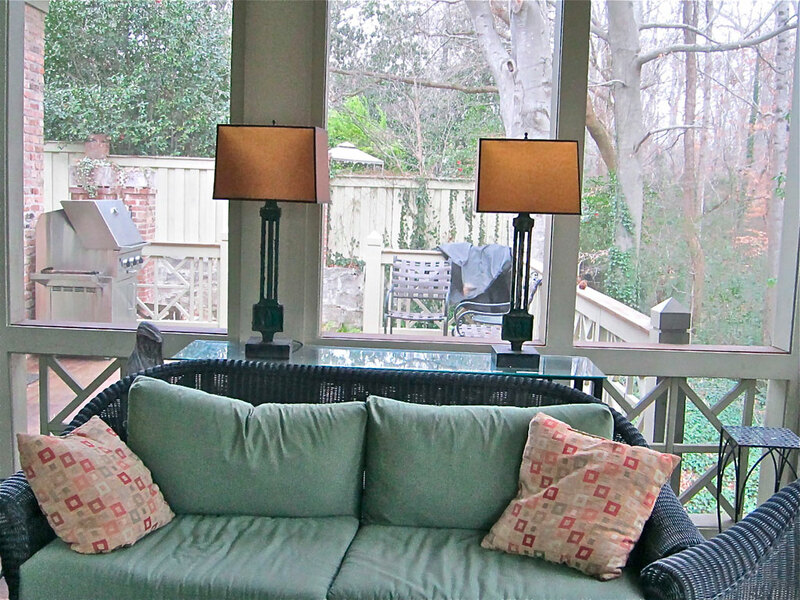 And the best thing about this porch is that it is located in the city–no traveling required! This relaxing retreat was designed by Architect Norris Broyles of Atlanta, Georgia. 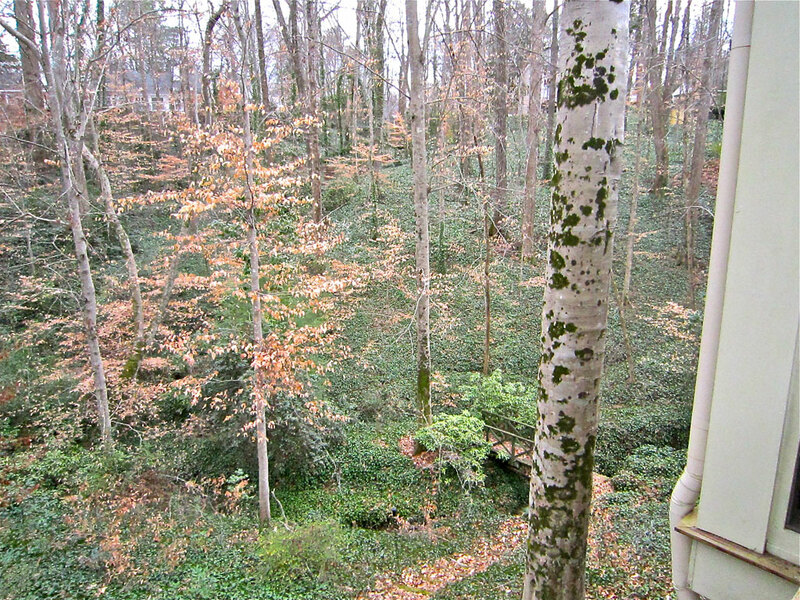 He included a Hearthstone stove to provide just enough heat for the Winter chill in Atlanta. What a thoughtful design—it’s all in the details. 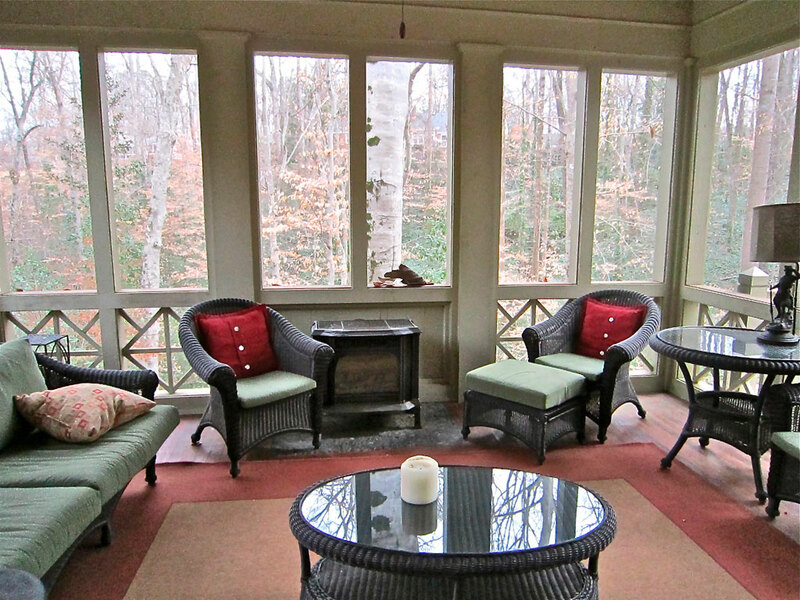 Welcome to this charming porch overlooking the woods–love the lights on the steps. Take off the evening chill with the Hearthstone stove–cozy. 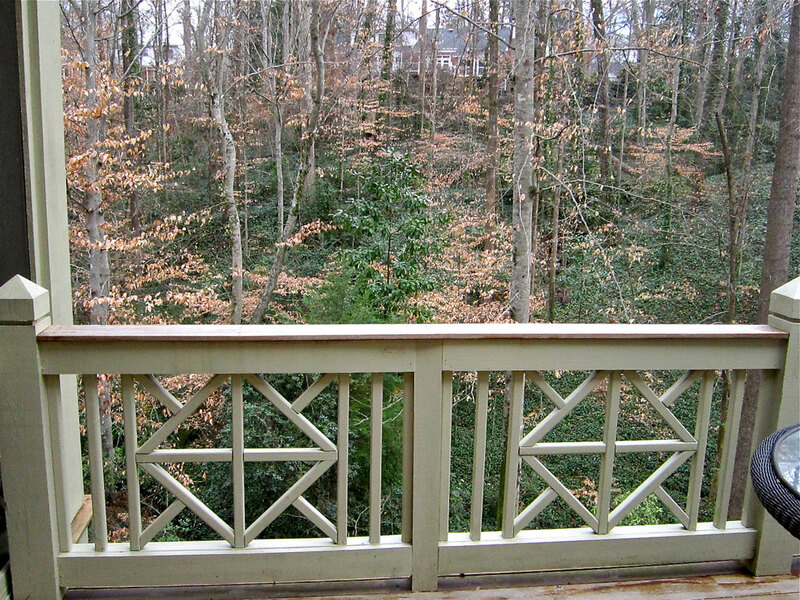 There is a Great deck off of this porch–perfect for entertaining. Have a seat and wait for the grilling to begin. The grill is heating up and the cocktails are ready–Enjoy the View! Such a gorgeous porch and the setting is beautiful, too. 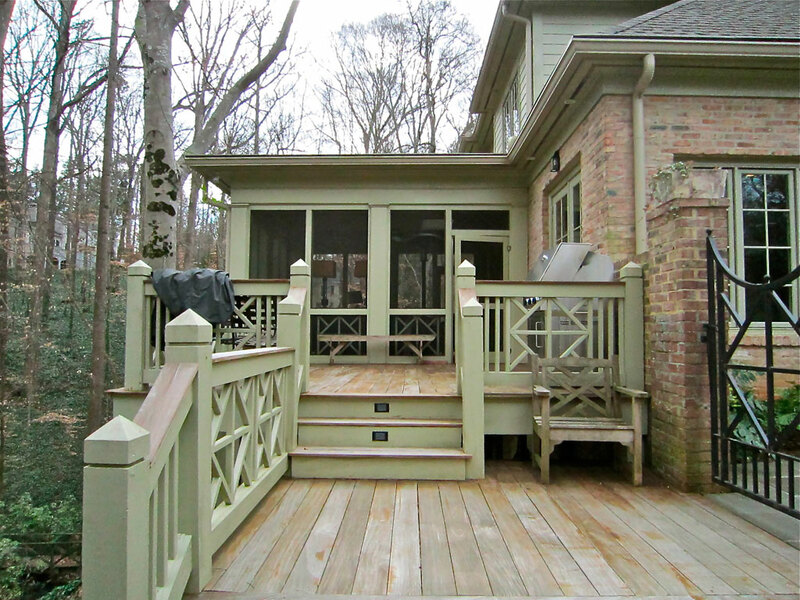 I also love the green color that the wood trim is painted. I could imagine spending lots of relaxing hours here.